It's time to take your patient relationships to the next level. Don’t sacrifice patient experience for tasks that can be automated. We know. You love your ophthalmology practice and want your patients to love it just as much. That means you have to decide which tasks should take priority. Calling patients, filling last minute cancellations, and marketing your practice all take time away from making sure your patients are happy with their experience in your office. 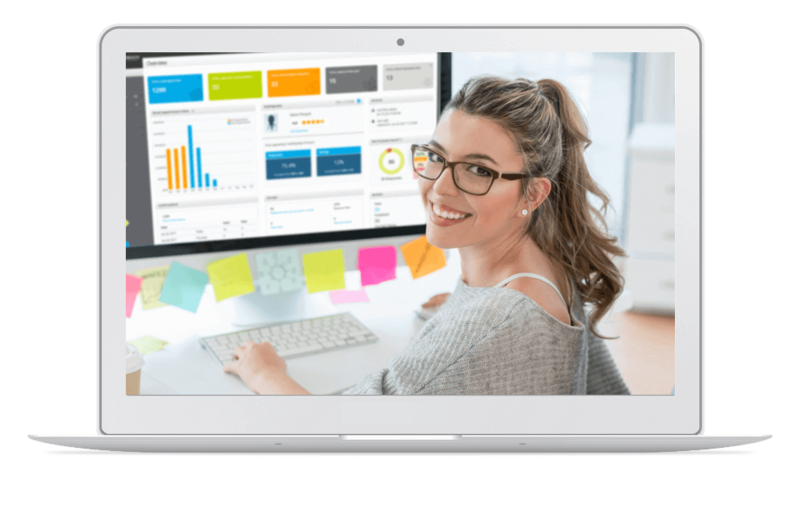 Solutionreach's patient relationship management platform increases the efficiency of your office so you can focus on the patient experience. Our technology has the unique needs of ophthalmology offices in mind. 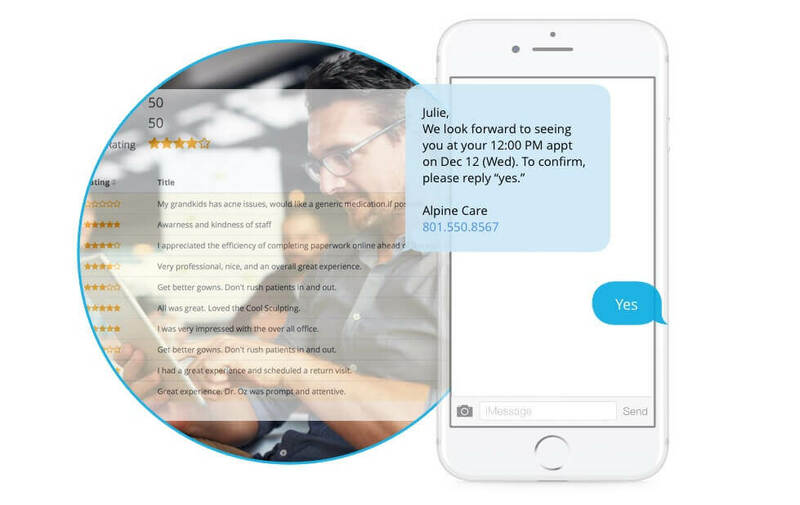 Time-consuming responsibilities like eyeglasses pick-up notifications, appointment reminders, scheduling and educational outreach can all be automated. You'll reclaim time in your day and spend it where it matters most—on building great patient relationships. Today’s savvy patients want convenient access to their ophthalmology information—whether that's paying bills, scheduling appointments, or just connecting with a doctor. Solutionreach makes it easy. Good things always come in threes, right? 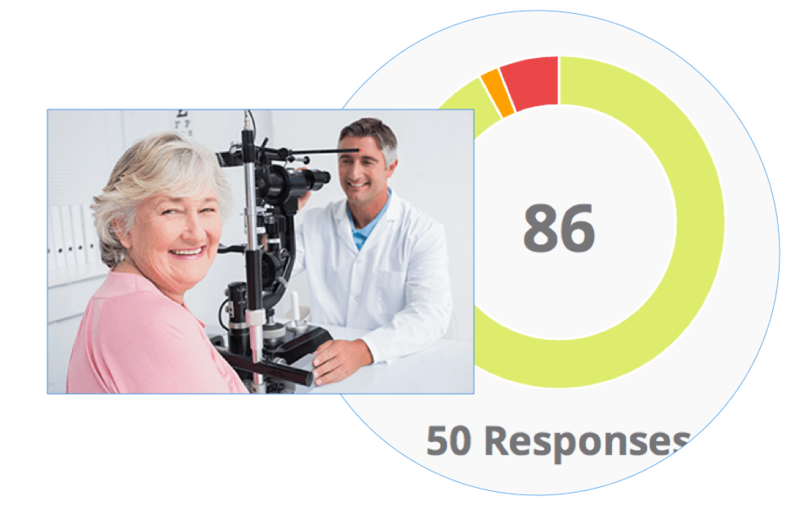 Solutionreach’s ophthalmologist reminder software is no exception. Ophthalmology patients are often experiencing something difficult. You want to make sure that they are as happy as can be. But first, you need to ask! 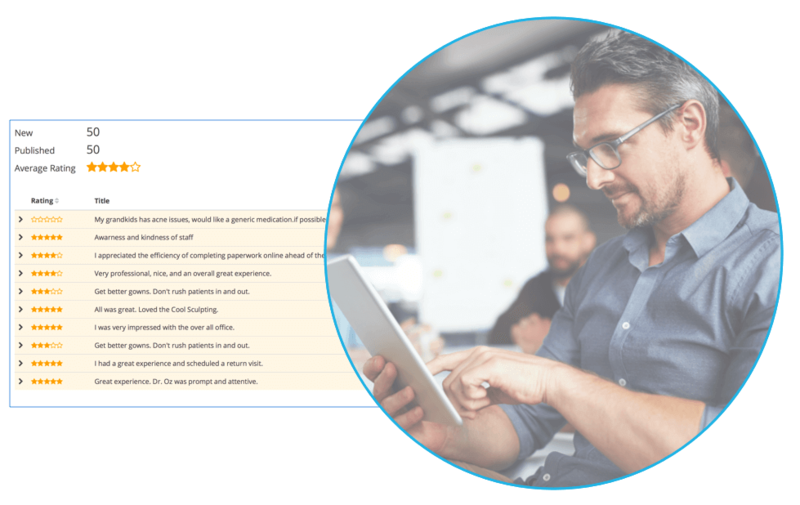 Every tool from Solutionreach from patient surveys to online reviews lets you hear what your patients are saying. Get valuable feedback from your patients so you can improve your practice and continue to grow. Check out the stats for Virginia Eye Institute! They’ve improved recall bookings with Solutionreach automated messages. Your patients already trust you, so spread your knowledge. 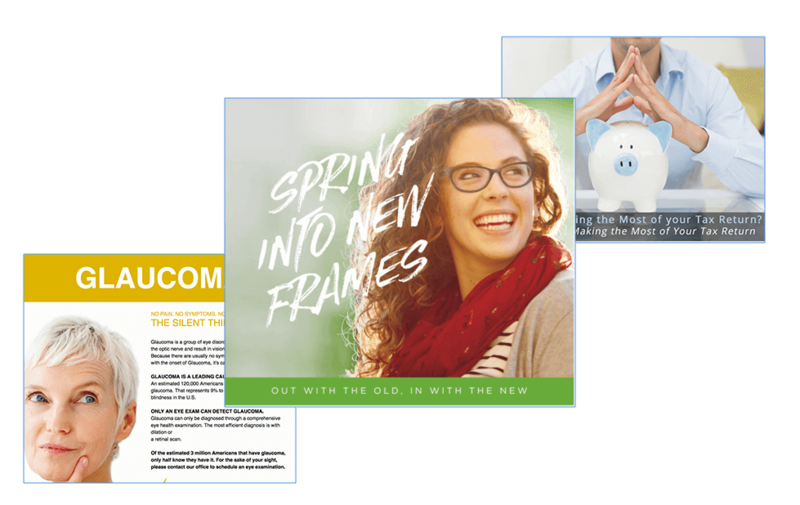 Help your patients see better outcomes (pun totally intended) by providing them with targeted educational material specifically designed to encourage greater patient plan adherence. Marketing your ophthalmology practice makes it easier for potential patients to find you. Whether they are looking for medical or surgical options for their eyes, or just wanting to be checked for eye diseases, you should be their first choice. 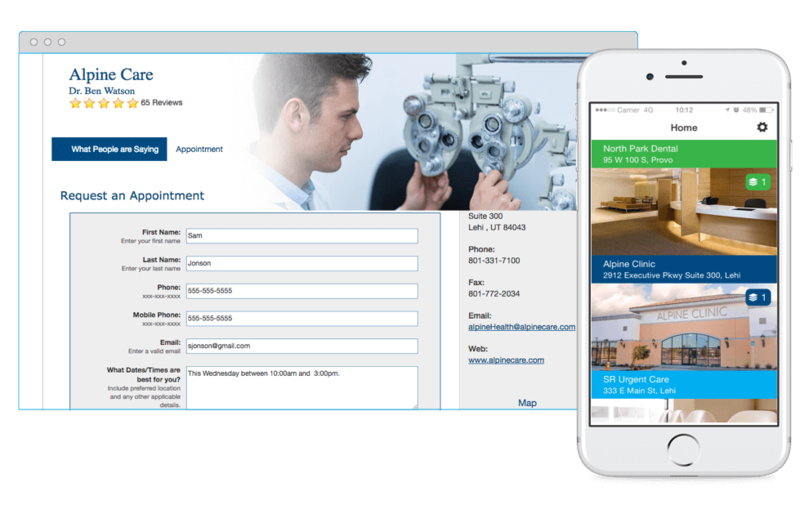 Solutionreach offers ophthalmology marketing automation tools and customizable content that will help you catch the attention of patients and showcase all of the amazing things you do. Your reputation is what drives new patients to your practice. Make sure the reviews posted about you online reflect the quality of the practice you run. 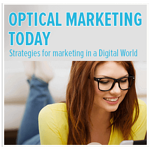 Need strategies for marketing your optical practice?  This eBook is loaded with ideas.